There are a number of new display technologies vying for our attention, eyeballs, and cash right now. Among them are the HDR or High Dynamic Range displays. The promise is a step up in visual appeal thanks to a screen able to output a higher dynamic range of luminosity than a standard screen - showing more perceptible colour detail in images. Many people will already own a smartphone or camera with 'HDR' which can give you a feeling for what the tech is capable of. The current generation of games consoles, and latest graphics cards from AMD and Nvidia, support enhanced output for HDR screens. Unfortunately, one of the major names in TVs has released screens which offer HDR visuals but have reportedly provided laggy gameplay experiences. LG HDR screens have been the cause of furrowed brows due to their input lag. 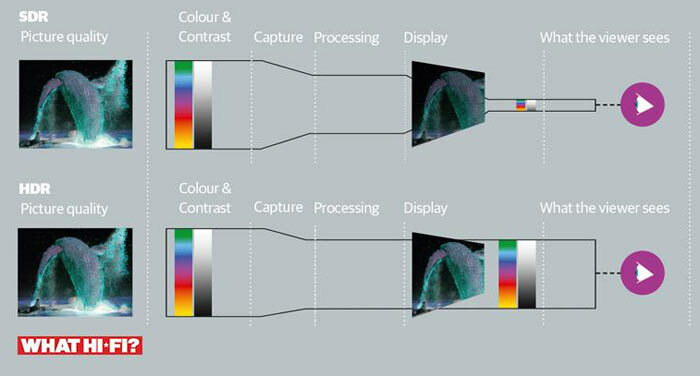 As MCVUK reports, that lag occurs because "the time needed for the TV to process the HDR signal can in some instances add a delay to the picture". Happily there is a fix in the works. Forbes magazine was told by LG that "engineers are currently working on a firmware patch to address the issue which is expected to roll out shortly" for its 2016 HDR TV sets. Interestingly, 2017 LG HDR TVs may include the option of an HDR gaming mode. In other recent display news Panasonic has come up with a new kind of IPS panel. 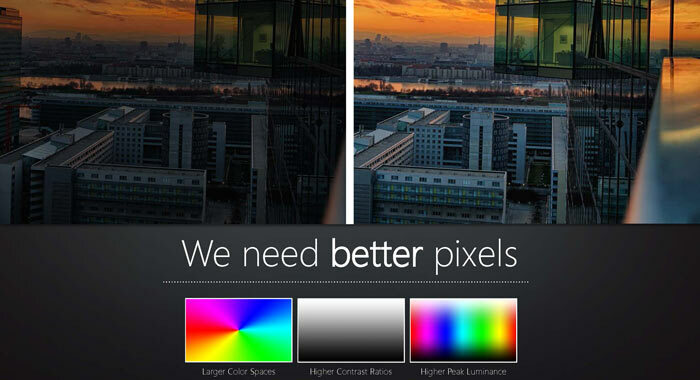 Its major claim is that the new panel offers a much higher contrast ratio to previous IPS designs. Specifically it is said to achieve "a contrast ratio of over 1,000,000:1, which is 600 times that of conventional liquid crystal panels". Importantly this new type of IPS display can be manufactured using existing liquid crystal panel manufacturing facilities. Panasonic is touting the tech for professional-use High Dynamic Range (HDR) monitors for broadcasting stations and video production studios. The screens are said to "reproduce images that are faithful to what people see, ranging from bright light to jet-black darkness". Samples will ship in January, so hopefully we will get to see some of these new Panasonic displays, and perhaps learn about pricing, at the CES 2017 show in Las Vegas. Is this “new” method the same as quantom dot tech? No. Currently it is thought more to be like two liquid crystal layers stacked on top of each other, but noone outside Panasonic knows for sure. In other news, the HDR fix for LGs OLED sets is already trickling out according to Flatpanels. It sounds like a fix for TVs with “8bit + FRC” panels, where they essentially mix colours by flashing different coloured pixels in the same position……I guess the processing time to calculate each colour creates the lag. https://www.youtube.com/watch?v=otixQ3p_NXM Avforums seem to thing this is an awesome tv for the money. It has 4k hdr and it's 65" and all for less than 800 in most places. http://www.richersounds.com/product/tv—all/hisense/65k5510/hise-65k5510 Richer sounds have it with a 6 year guarantee(is that the same thing as warranty?). Currently the best buys imo are the Samsung 7500 or above - would be good for LG to sort these issues though as there really isn't much competition at the higher end right now given Panasonic + Sonys lackluster offerings.